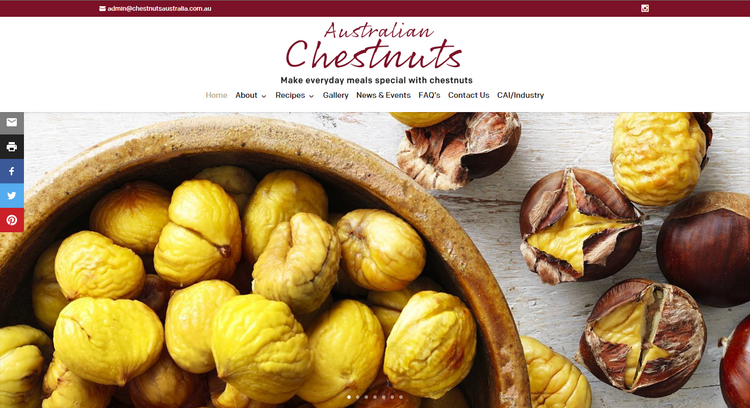 The Industry is delighted with the recent upgrade to the Chestnuts Australia website that went live in May 2017, so many favorable comments from growers and consumers, extremely happy with the resulting up to date fresh and appealing website with a host of excellent features. Stones Throw IT know their stuff! Communications Officer, Chestnuts Australia Inc.